Recently, a feeling of restlessness crept into my life. I felt myself getting caught up in the everyday blah blah blah of life and was feeling overwhelmed, but not satisfied with anything I was doing. I wanted more, but didn’t know what ‘more” was, so I vocalized my restless feelings to the universe via prayer. My prayer for ‘more’ was answered a few days later with a phone call from a friend. During that call, I learned about Hashtag Lunchbag Charlotte. Hashtag Lunchbag is a national organization dedicated to utilizing social media to bring awareness to and eliminate hunger in local communities. The Charlotte branch began in November 2013 when Danielle Ferguson and some of her co-workers at WCCB Charlotte hosted the first lunchbag event. 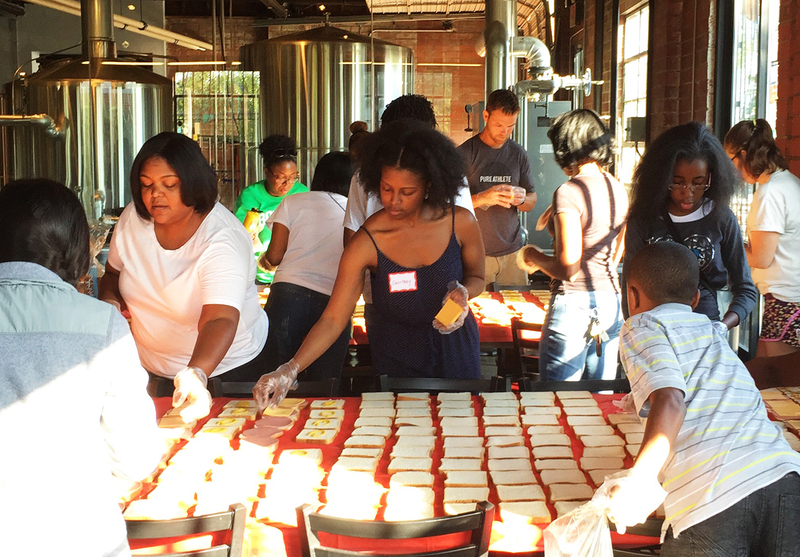 “I remember expressing interest (to my coworkers) about a national effort I saw on social media that was geared towards fighting hunger,” Ferguson, Lead Organizer with Hashtag Lunchbag Charlotte, said. “I remember telling them this would be a great idea to introduce to the Charlotte area.” It was with that expressed interest that Hashtag Lunchbag Charlotte was created. Here, in her own words, is what Ferguson told me about Hashtag Lunchbag coming to Charlotte. 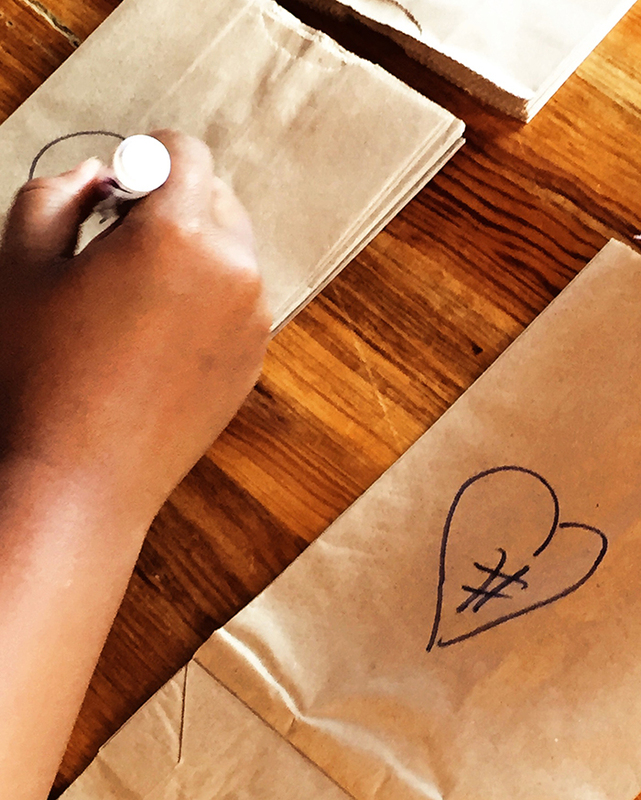 Hashtag Lunchbag was fairly new and the movement was quickly gaining attention around the US. The concept was simple: gather some friends, go grocery shopping, write some inspirational notes, identify an area around town where there is a need, snap a few pictures and share your experiences on social media. The purpose of this organization is to feed and share love and to inspire others to literally get up, get out and do something. Every little bit helps. When we began, we started with about six people in the conference room at the station. We made about 75 lunches and each lunch came with a hand written note. Not only were we feeding a belly, we were also feeding the soul’s of the people that would be receiving them. 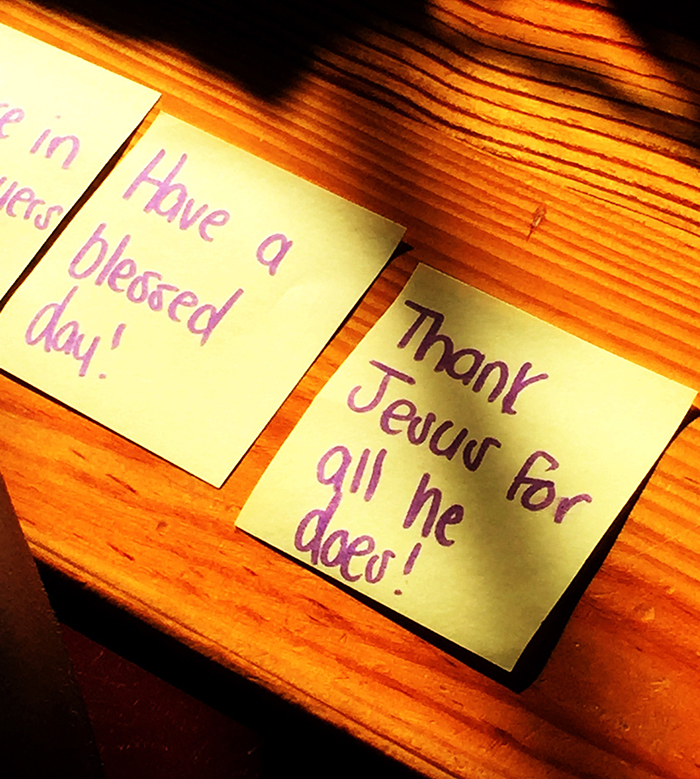 Each note offering an encouraging word that they could keep and carry with them throughout their days/travels. That [first] Saturday was amazing! We passed out all of the lunches in about 20 minutes. Ferguson and the initial volunteers were so affected by their experience that they used social media to spread the word about what they were doing. 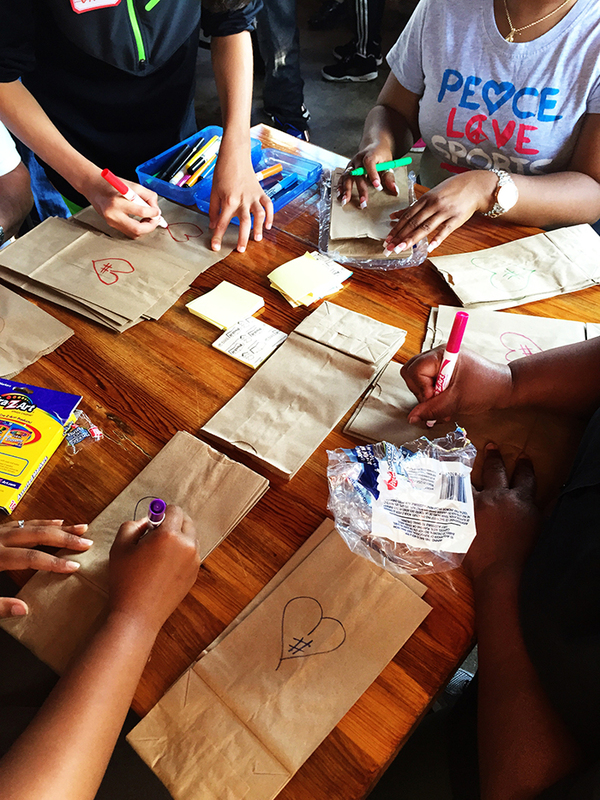 By word of mouth and a growing social media presence, Hashtag Lunchbag Charlotte grew and was able to serve more than 200 lunches to people in need. 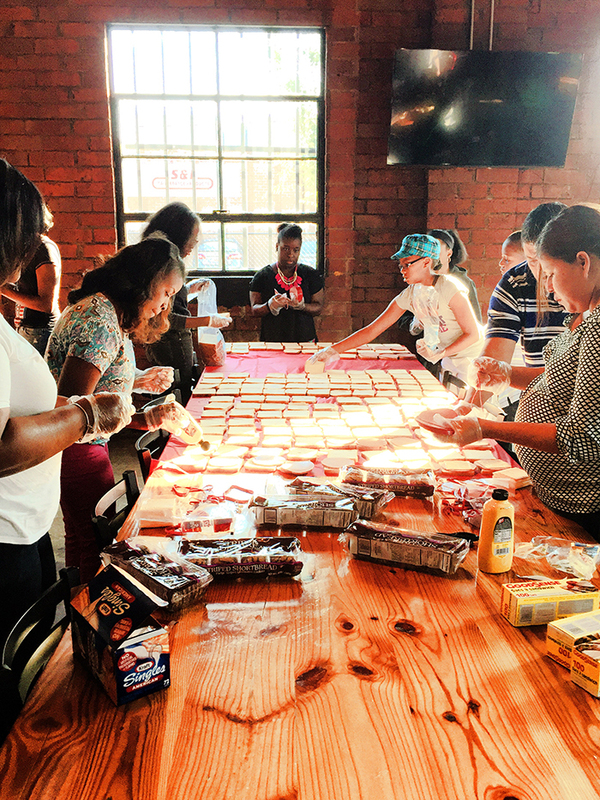 November 2015 will mark the two-year anniversary of Hashtag Lunchbag Charlotte and Ferguson expects to exceed the 2015 goal of 4,000 lunches assembled and distributed. 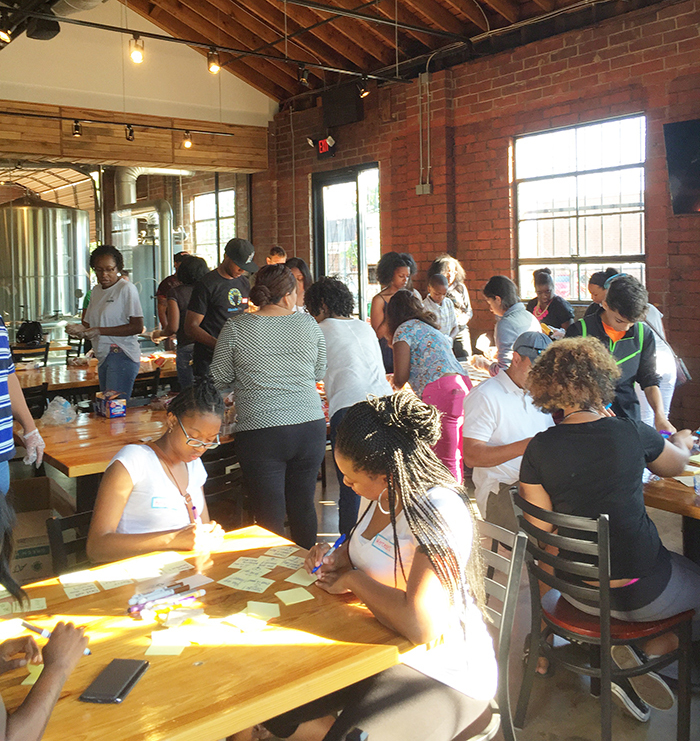 Intrigued by the program and impressed by Ferguson’s passion I wanted to participate and see for myself what Hashtag Lunchbag Charlotte was all about. On June 6, I arrived at Triple C at 8 am ready to participate and to do more. Walking into Triple C, I saw volunteers from all walks of life, ethnicities, and age groups (children are welcome to participate) come together to serve. Everyone rolled up their preverbal sleeves and got to work. Tables that I have sat at on weekends were covered with red tablecloths and over 200 bologna and cheese sandwiches were being assembled. Volunteers were busy at work writing positive notes. 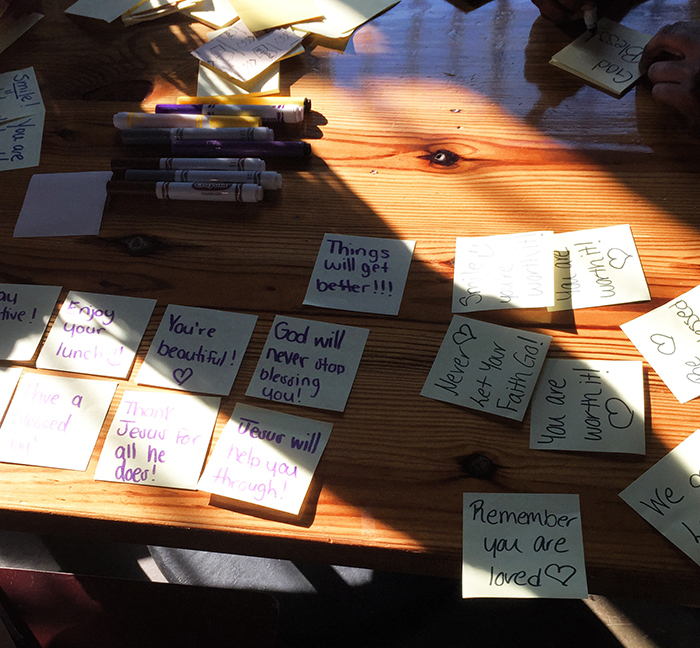 All lunches include a note of inspiration, hope and love to the recipient. I was told by one of the volunteers, a past volunteer with Hashtag Lunchbag Detroit, that everyone, no matter his/her circumstance, deserves to know they are valued human beings. I went to the station where all the lunches were being packed into lunchbags and this is where I got to work. I put sandwiches, chips, treats, water bottles and positive notes into these bags. Once all of the bags were assembled, the volunteers caravanned to Mecklenburg County Homeless Resource Center to begin distributing the lunches. The group I was with made our way to The Charlotte Transportation Center. One of the most impactful things I saw was a young boy handing a lunch to an older man. That image of a youth serving an elder is something that has stayed with me since that day. I handed out lunches to men and women of all ages and ethnicities. 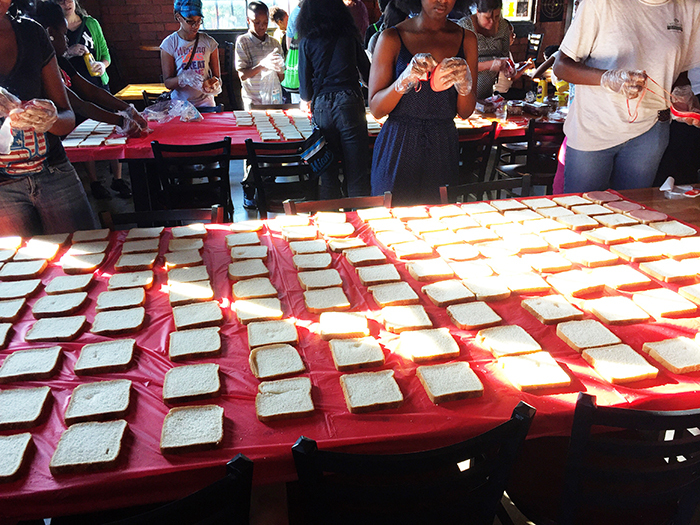 In less than 30 minutes, all 200 lunches were distributed. From the time I got out of my car at Triple C to the time I got back in my car after distributing lunches, the entire process took a little over two hours. Sitting in my car at the Resource Center after all the lunches had been distributed; I was overcome with a sense of gratefulness. I wasn’t feeling grateful for all that I have, I was feeling grateful because I had an opportunity to serve others. The smiles and the blessings given to me while I was giving out lunches are moments I will cherish. The blah blah blah of everyday life suddenly seemed more like noise than anything of importance. Follow Hashtag Lunchbag Charlotte and learn how you can do more. 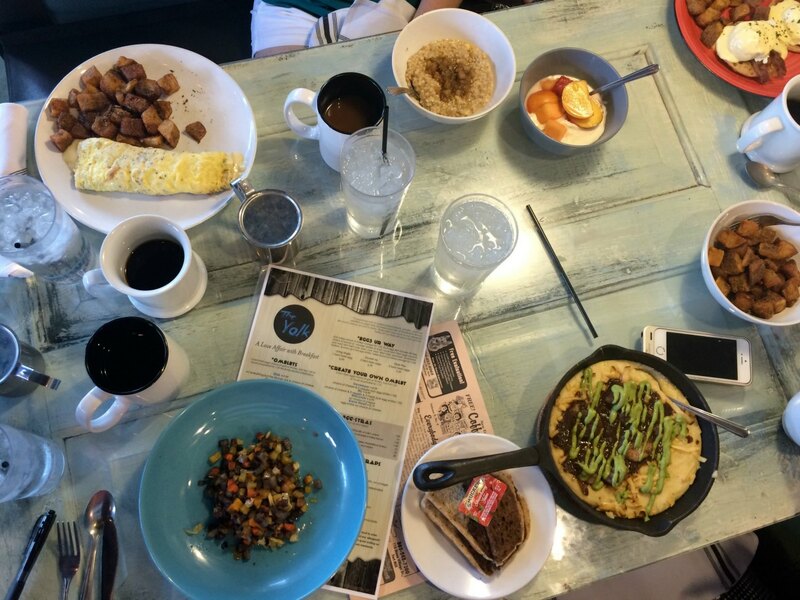 The events take place the first Saturday of every month at Triple C Brewery. The event starts at 8 am and typically only takes about two hours. In order to continue feeding, the organization asks volunteers for a minimum $10 donation. All of the money raised at each event is used to buy groceries for the next month’s event. What do you say Charlotte Agenda readers, are you ready to serve? Whether this organization or another, sometimes giving our time for someone else can be what is needed to drown out the blah blah blah of everyday life.